Today LG has unveiled two new smartphones from their K series, i.e. LG K10 and LG K7. Both the devices are mid range devices with average specifications and performance. The only thing that may attract the customers is that both the devices are “Made in India” products. Though, these devices were already announced in CES 2016, but today these devices are officially launched in India. LG K10 is priced at Rs. 13,500, while K7 carries a price tag of Rs. 9,500. LG K7 will be available in White, Black and Gold colors while K10 will be available in White, Indigo and Gold colors. Both the devices support Dual SIMs and has 3G and 4G support. 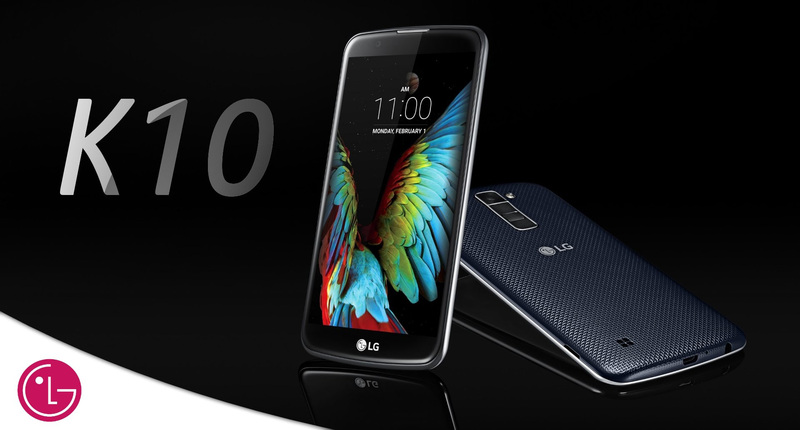 LG K10 is powered by Snapdragon 410 1.2 GHz Quad-core processor and Adreno 306 GPU. It has 2GB of RAM and 16GB of internal storage. K10 comes with 5.3 inch IPS display which has a resolution of 720 x 1280 pixels. It has 13MP primary camera and a 5MP front camera. K10 is backed with 2300mAh battery which is removable by users. It also has FM Radio and NFC. LG K7 is a downgraded version of K10 with 5 inch display which carries a resolution of 480 x 854 pixels. It has Quad-core 1.1 GHz Snapdragon 210 processor and Adreno 304 GPU along with 1.5GB of RAM. The internal storage is mere 16GB but it can be expanded up to 32GB via micro SD card, similar to K10. When it comes to camera, it has 8MP primary camera and a 5MP selfie camera. It is equipped with 2125mAh battery. K7 and K10 runs on Android 5.1 Lollipop out of the box. The other features include WiFi, Bluetooth, GPS, FM Radio with RDS and a 3.5mm jack. Going through the specs it is very clear that these devices are very basic in terms of looks and performance. If you are looking for alternatives of LG K7 and K10, then there are many devices like Redmi Note 3 (Rs. 11,999), Lenovo K4 Note (Rs. 11,999), Galaxy On7 (Rs. 10,190) and Lenovo Vibe K5 Plus (Rs. 8,499). To get more updates on upcoming devices from LG, stay tuned with us.